A sweet twist on an old favorite! Add fresh basil to your guacamole for a sweet summery taste – a bit of pesto and guacamole in one bite. 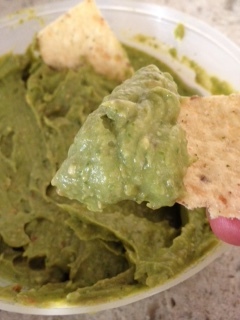 This guacamole is also great as a spread for wraps or sandwiches. Refrigerate for a least 1 hour to set. Enjoy with whole grain tortilla chips, crackers, or veggies.